January 18, 2019, 11:33 AM · Welcome to "For the Record," Violinist.com's weekly roundup of new releases of recordings by violinists, violists, cellists and other classical musicians. We hope it helps you keep track of your favorite artists, as well as find some new ones to add to your listening! 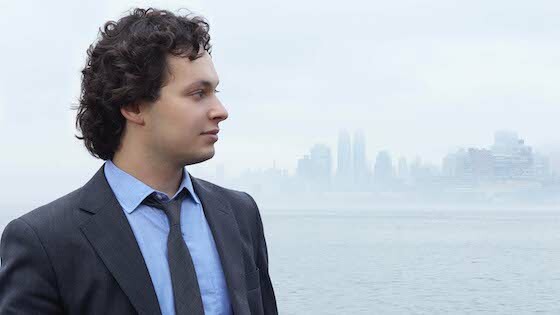 Today Russian-American violinist Yevgeny Kutik launches his latest project, "Meditations on Family," for which he commissioned eight composers to translate a personal family photo into a musical miniature for violin and ensemble. One track of the album will be released each week, starting today with "Daydreams" by Joseph Schwantner, until the full EP is released on March 8. Other pieces on the album are "Cadenza for the Once Young" by Gity Razaz (January 25); "Suitcased Dreams" by Paola Prestini (February 1); "Rima" by Kinan Azmeh (February 8); "How to Draw a Tree" by Gregory Vajda (February 15); "Litania" by Andreia Pinto-Correia (February 22); "See Above" by Timo Andres (March 1); and "Flight to Limbo" by Christopher Cerrone (March 8). This project began over the dinner table during Thanksgiving 2017, when Kutik’s grandmother, Baba Luba, recounted saying goodbye at the Minsk airport when Kutik and his parents set off for the U.S. and showed him a photo of the family, later reunited. “I asked composers I admire to choose their own family photo, a photo that conjures up memories of joy, sadness, unity, and longing, and to translate that photo into a short work for violin." Kutik describes each of those works at www.meditationsonfamily.com. BELOW: Yevgeny Kutik performs Joseph Schwantner's "Daydreams...'Reverie'" for violin, vocal quartet and glass harmonica. Violinist Jennifer Pike explores her heritage through Polish music for the violin. This album features works by Mieczyslaw Karlowicz, Karol Szymanowski, Henryk Wieniawski, and Mieczyslaw Moszkowski, with pianist Petr Limonov, winner of the Nikolai Rubinstein International Piano Competition. BELOW: Jennifer Pike and pianist Petr Limonov perform one of the works that is on the album: "Impromptu" by Mieczyslaw Karlowicz. January 18, 2019 at 07:34 PM · That Jennifer Pike album is going to be a whirlwind. I've never known a Polish composer to write timid stuff!